Bonsai is a living art that is appreciated by people in every culture. World Bonsai Day is for sharing this peaceful art and advancing international friendship and goodwill throughout the world. In honor of this year’s World Bonsai Day and the re-opening of the Bonsai Pavilion, Lynden will host a special temporary exhibit of bonsai that have been created from material that was collected from nature. 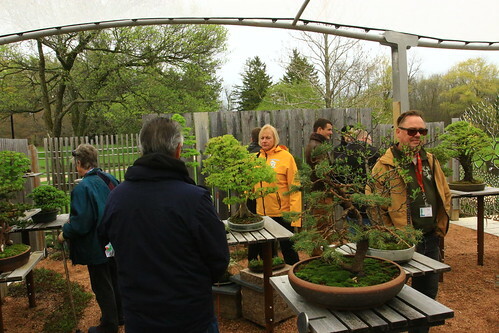 The exhibit will open on Saturday, May 11, 2019, at the Bonsai Pavilion, with a demonstration by Milwaukee Bonsai Collection Curator Jack Douthitt at 1 pm. A reception will follow at 3 pm. The temporary exhibit will remain on view daily (except Thursday) through Saturday, May 18, 2019.